For many people presenting percentages hold greater fear as they can be complicated and cause the MEGO (My Eyes Glaze Over) state. Many people need a calculator (on their cell phone) to calculate 10% on a bill for the tip. (10% Tip: move the comma one place. On R135,00 – 10% is 13,50). 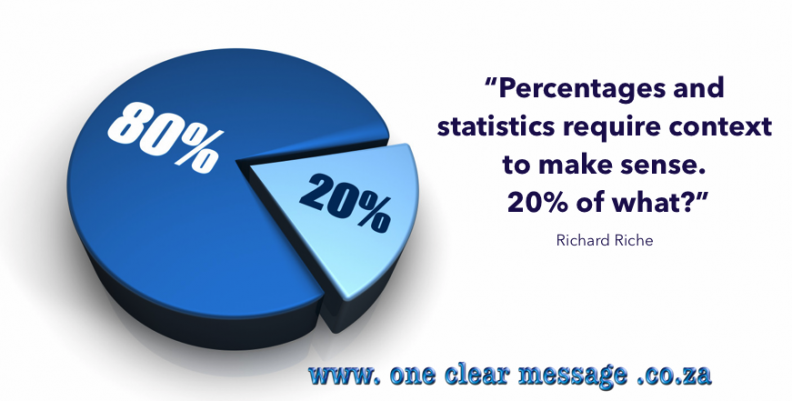 Percentages and statistics also require context to make sense – 20% of what? Too many speakers fall back to the isolated statistic – 20% of people. Which people, where? vs. In a study by Harvard in 2016 it was found that 20% of college students …. 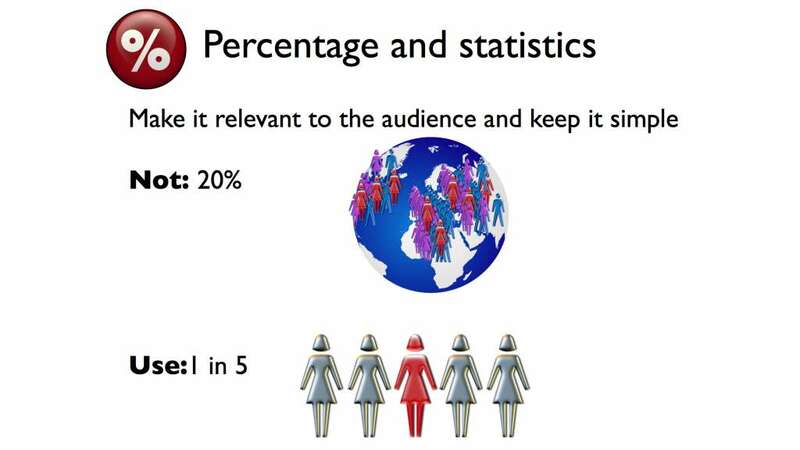 When presenting percentages or statistics in a presentation keep it simple, and relate it to the audience. 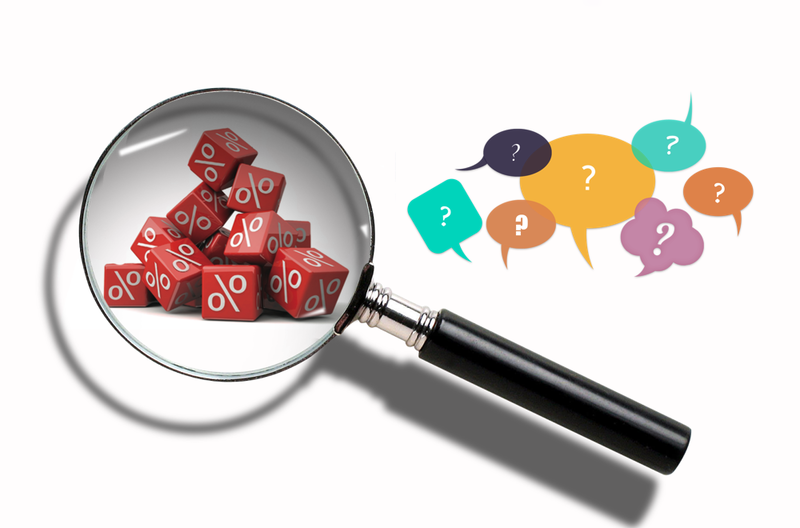 A handout can be given afterwards with more complex data. 20% of the worlds population means nothing to most people,as it is hard to relate to. However, 1 in 5 people (or if there are 15 people in the room 3 of us in this room) is a lot easier to grasp.